It’s been close to a month since over two hundred and fifty students were abducted from their school in the north eastern region of Nigeria, this number pales compared to the numbers of those killed in the same region as a result of bombings and gunshots. This is no social commentary so I won’t go into details about the unrest in several other parts of the world. The recent happenings around have been disheartening. It used to sound distant when one hears of the numbers in the news. One can’t ignore the news or think about the killings and abductions in numbers anymore. Putting faces and names to those affected drives the point that they are somebody’s somebody home. I watched an interview of an aggrieved mother as she lamented the absence of her daughter; she was really looking forward to celebrating her child’s graduation from school. She bought a number of things to celebrate but after over three weeks it is hard keeping her hope alive. A woman lost her only son to the bombing at Nyanya; he was to resume work that same day. The circumstances surrounding the loss of a loved one might not be carved around bombings or ritual killings; it could be an accident or illness. However way, things happen and people die thereby getting in the way of dreams and aspirations of their loved ones. Hope has never been a bad thing, neither has planning. But how do we move ahead when life throws us heavy punches and it seems our hope has been shattered. Everybody is going to die but the situations surrounding all these happenings affect our humanity and puts upon us certain obligations. As Christians and members of the society, how do we affect the situation around us? First, we need to understand nothing preaches the gospel better than our acts of love.Extending the love shown us by Christ to other people is one of our callings. If you have someone around you that is affected; don’t act like you understand and can feel their pain. Acting like we understand and know just how deeply those that are affected hurt might not be truthful as nobody knows how a pair of shoes hurt like the person wearing it. Love is the crux of our life as Christians. Christ showed us love and in return we need to extend that love to those hurting around us. It is alright to mourn with those that are affected, remember Jesus wept when told of Lazarus’s demise. Allow them cry if they want to; Cry along with them if you feel the need to. Staying strong is overrated. Crying is not a sign of weakness, tears can be liberating. Stay close enough for them to know they have shoulders to lean on at periods when they are grieving. I remember how when a very close friend’s mum died and I withdrew from her, scared I was going to say all the wrong things. It took me many years after that to understand just being around her might have been all that was needed of me. Maybe, if I had expressed how deeply sorry about the situation I was we would still be close friends. Also understand that it is alright to give those grieving little space but not too much space, they need to be constantly reminded all hope is not lost and that there is still so much love to live for. Don’t leave them alone for a long period of time asides from when they are asleep or napping. Allowing them be on their own for very long period of time might make them soak themselves in the pool of self pity and become frustrated of all things thereby giving way to depression. Positive talks are good but don’t be so unrealistic. People in such situations are probably wondering why God has deserted them. Words like ‘it is alright’ might not be appropriate. If you are at a loss for words to say just stay quiet. A squeeze on the shoulders might convey the entire message you are trying to pass. Give gifts. Make donations towards affected people to have better lives. For some of them, those they lost are their breadwinners, money or gifts can't feel the void but it is still helpful. 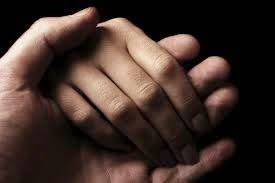 Prayers go a long way in helping situations, pray for them. You might not be able to fully appreciate their situation but God does. Pray for them to be comforted and for the peace of God to rest upon their hearts. I join the many people that I know are praying for the release of the abducted girls today like other days. May the girls be found and may their parents be comforted. I pray for the restoration of peace to our land.